Our customers want more than fast food. They want fresh, healthy and quality food. In Lettus we prepare the dishes of our menu instantly, in front of our customers, to taste, if they wish. 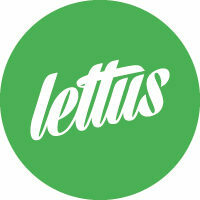 Lettus generates a new way of focusing on fast food. Health is fundamental and we take it into account in each of our creations. Offering a range of healthy products within the field of fast food is our mission. ● Quality. Search for continuous excellence offering the best healthy options. ● Responsibility. Gratitude, loyalty and sincerity. Social and community commitment not only with the customers, but with society. ● Team work. Exercise tolerance, respect and consideration. Maintain the motivation of our teams. ● Passion. We are committed to heart and mind. ● Integrity. Be transparent Fulfill all the commitments that are assumed with customers, suppliers and franchisees. ● Creativity. Permanent research and development to offer the best products and services. The image is everything, especially if you want to establish a meaningful connection with your customers. We make sure that our brand actively attracts fans with creative, effective and consistent messages. We reinforce the brand with an advertising mix that includes market research, monthly promotions, specialized software support, a website, social networks, loyalty programs, established brand standards and guidelines, etc. We help you step by step with the selection of the best place to open a new Lettus restaurant, the demographics of customers, the development and construction with a trained technical team, as well as general operational support. Before the opening, we conducted training sessions, both for the manager and the selected team, on preparation and food safety, management with suppliers, inventory control and other aspects of franchise management.